Not sure where to start in your quest for the perfect police scanner? Below you can view comparison tables which make it a breeze to scan over features and prices for top models. 1 What is a Police Scanner? If you understand how an AM/FM radio works, you basically understand how a radio scanner works. AM/FM signals are broadcast through the air on radio waves. So are the signals that go to your television, cell phone, and CB radio. 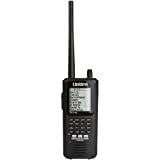 Radio scanners allow you to pick up more signals within the VHF to UHF range. This gives you a chance to listen in on conversations between emergency workers, sanitation workers, and others in your community. If you have never owned a police scanner, you may wonder why you would want one. There are so many answers to that question! For one thing, you can follow up-to-the-instant information on local emergencies—everything from criminal manhunts to natural disasters. For another, you will always know the state of the roads and the weather—which is useful even when nothing is going on. When your neighbors want information, they will turn to you first! Basically, anyone involved in emergency response or communications infrastructure may use radio scanners—plus anybody in the area who is simply curious. Originally, radio was limited to fixed-frequency models. But in the 1960s and 70s, CB radio was developed, offering from four to 10 channels. In the wake of CB radio, police scanners rose into popularity. Whereas old-fashioned CB radios needed separate crystals to receive each frequency, modern radio scanners use microprocessors. This has allowed for the addition of hundreds of frequencies! Very few listeners on police scanners run aground of the law. Generally speaking, most communications are legal and safe to listen to. You also must not interfere at emergency sites as you could block access or otherwise slow down respondents. Please note that none of the above information constitutes legal advice. If you have any specific questions or concerns, consult with a licensed attorney. Base and mobile scanners are both designed to operate from fixed locations. In the case of a base-only/”desktop” scanner, you hook it up to house power and leave it there. In the case of a mobile unit, you mount it in your vehicle, usually in the dash where your stereo would otherwise live. Base and mobile scanners have large antennas and offer you more power and range than handheld models. A handheld police scanner is portable and small. You can carry it around or clip it to your belt. Some models are small enough to fit in your pocket. They operate on batteries (often rechargeable), and have a lower range than base and mobile models. You can purchase a larger aftermarket antenna to extend the range of your handheld scanner. Different scanners cover different frequencies—and different agencies utilize different frequencies. Before you buy a radio scanner, you need to look up the frequencies used in your area by the agencies you are interested in following. RadioReference is a great site for this. If your radio system uses a single frequency for each communication channel, it is a conventional radio system. You cannot use a conventional radio scanner to listen to a trunked conversation. With a trunking radio system, a large number of agencies can utilize just a few radio frequencies. This allows for sharing in congested circumstances. As you might expect, trunking is common in urban areas. Trunking systems can pick up conventional signals, but conventional systems cannot pick up trunking signals. 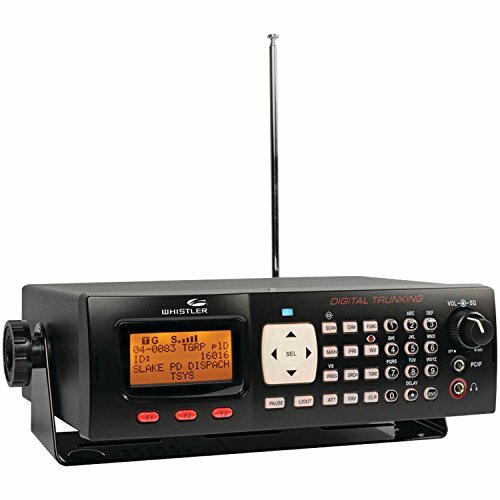 These are the most common, basic, and inexpensive models of radio scanners available. Analog models are more commonly used in rural communities and smaller towns. Note that an analog scanner will not work to pick up signals which are being transmitted on digital systems. Before purchasing an analog scanner, always check to make sure that that is what is commonly in use in your community. Most larger cities have switched over from analog scanners to digital systems. These systems have better reception and sound quality. 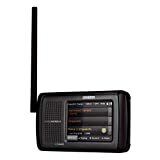 Even though digital police scanner are more expensive than analog ones, you will need to shell out the extra money to purchase one if that is what is commonly in use in your area. What features are important to look for in a police scanner? Below is an overview that will help you make the right choice when you are making your product comparisons. How many channels you need depends on how many agencies you are interested in listening to. A basic model with just 10 to 20 channels will be sufficient if you only want to monitor one or several agencies. If you’d like to listen to a large number of agencies, aim for a model that includes a larger number of channels. This feature allows you to organize large numbers of channels into simple categories called “banks.” Examples might include Aircraft or Fire. If your scanner includes Dynamic Memory Allocation, you may also have what is known as Scan Lists. These are very similar to Banks, except that you have control over the number of channels in each. While you can find the frequencies for many agencies in frequency books, many others are unlicensed or simply unpublished. This feature allows you to search for these frequencies. This is a great way to follow federal government agencies or US Park Service. This is a measure of how quickly your device can scan through channels. If you have a large number of channels to scan through, high speed can be important. If you are only listening to around 10 channels, look for a scanning speed of about 16 per second. If you have more channels to scan through, you might want to consider a higher search speed like 50 or 100 channels per second. You can use this feature to search through pre-programmed frequencies. This can be a quick and easy way to locate the appropriate frequencies for police, firefighters, and so forth. You will find that it is especially handy for traveling. If an agency that you wish to follow in your area is making use of a trunked radio system, you will need to purchase a scanner which includes a trunk tracking feature. Many trunking scanners now include this feature for alphanumeric displays. It provides you with useful text identifying various channels and agencies. Your scanner will probably include a feature which allows it to automatically select the right mode for any given frequency. This feature allows you to manually override the selection for mode and step if necessary. This specification is measured in microvolts. The lower the number, the more sensitive the receiver is. You want a higher sensitivity, because then you will be able to listen to signals even if the transmission is weak. This is particularly useful if you are monitoring aircraft, or live in a rural environment. If you live in an urban environment, selectivity is an important feature. With it, even if there are two stations on adjacent frequencies, you will be able to pick the one you want to listen to. This feature gives you the option to put your radio scanner partly or completely under computer control. You may also have the option to download additional frequencies. This feature givens you a heightened level of control over your banks. With a fixed memory scanner, all your banks are the same size. That means that if you do not fill all the slots in the bank, the remaining memory slots are wasted. With a dynamic memory system, you can customize bank sizes so that you have smaller banks when you need them. That frees up memory for additional slots in larger banks. WX button. With this button, you can do a quick check of NOAA weather channels and other pre-programmed frequencies. Number Keypad. You can use this to punch in frequencies. Search button. Use this to hunt for unknown frequencies. Manual button. Step through channels one by one. Scan button. Allow the scanner to loop through all of your banks to detect active signals. As each ends, it will move onto the next. Delay button. This enables a brief delay on each frequency in scan mode. Lockout button. This will prevent the scanner from halting on a particular frequency which you have specified. Still not sure where to start your search for the best police scanner? 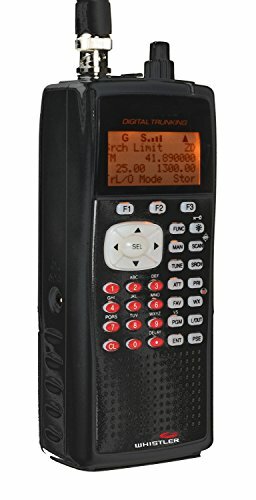 We have put together mini-reviews of some of the best-selling police scanners on Amazon.com. 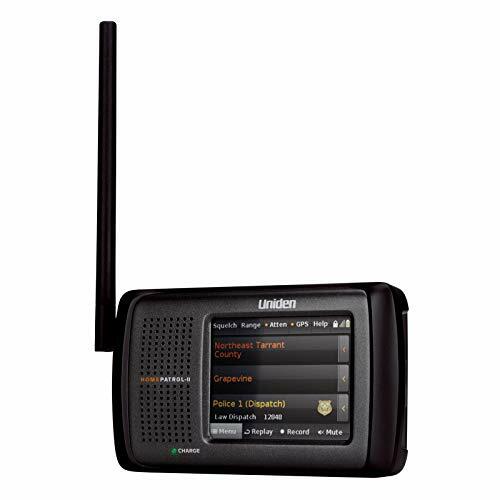 Read on to find the perfect police scanner for your needs! In the market for a police scanner which offers you lots of channels along with a set of great features? 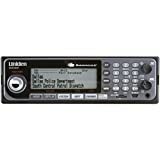 The Uniden BC75XLT provides you with all of this for very reasonable price. This makes it an excellent option for new as well as experienced users. Tons of channels. There are 10 banks which each contain 30 channels. That is a total of 300 programmable memory channels. These banks can be turned on and off when you are scanning so that you can find the channels you’re looking for more quickly. Close Call. This RF capture technology makes it possible to scan for transmissions in the area, even if you do not know the frequency. Meet standards for narrowband compliance. These are required now for all such devices. Easy charging. This police scanner includes batteries which are chargeable through a USB cable. This gives you plenty of options for getting juice back in batteries whether you are at home or on the go. Take note that whether the USB cable is included or needs to be purchased separately seems to depend on where you buy a scanner. Program your scanner on your computer. Programming the Uniden BC75XLT can be done on your PC courtesy of the free software which the company makes available to you. Getting started may be challenging. The menus are not entirely intuitive, and the owner’s manual is not all that good at explaining them. Police scanners with good quality speakers are hard to find. That’s why the Whistler WS1040’s advanced audio hardware is its most impressive feature. Aside from audio clarity, the other thing that this scanner brings to the table is outstanding reception. Signals that come in fuzzy on other scanners sound clear on the Whistler WS1040. Easy to program. Most police scanners are notoriously hard to program, but this one features a user-friendly menu that walks you through the process with a context sensitive help toolbar. Fast weather news. The WS1040’s Skywarn Storm Spotter technology lets you be the first to know when a bad weather rolls in. Compatible with P25. Project 25 (aka P25) is the communication standard used by federal, state and local public safety organizations in the United States. Storage galore. This scanner can hold over 38,000 scannable objects. Excellent speakers. Sound comes in crystal clear, thanks to the WS1040’s high quality audio hardware. Free carrying case. The included carrying case protects your WS1040 when you’re on the go. Great reception. The antenna that comes with this scanner is surprisingly well-made and efficient. Even though the WS1040’s operating system is very easy to use, the sheer range of options it gives you can sometimes be overwhelming. If you already own one of Uniden’s home scanners and you like the HomePatrol system, this is the perfect mobile scanner for you. The HomePatrol 2 comes with an automobile mounting kit. Of course, the HomePatrol 2 works just as well at home as it does when you’re on the road. You can mount it in your vehicle. The mounting bracket is sturdy enough to withstand many chips and dings. Makes recordings. Like the BCD436HP, this scanner allows you to record as you listen. Easy to use software. HomePatrol is slick and intuitive. Anyone can use it. Large touch screen. The 3.5 inch display has a backlight and is super responsive. Colored display. This scanner probably has one of the best displays on the market. High quality built-in speaker. Incoming transmissions sound much clearer on this scanner. Long battery life. This scanner comes with a car charger, but it also has good battery life. The built-in “rubber duck” antenna isn’t very good. Luckily, once you buy better one you can swap it out. The HomePatrol software only works with Windows. 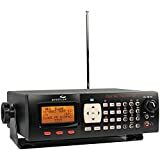 Consumers who are shopping for a digital desktop police scanner which is equipped with a comprehensive array of features may find that the Whistler WS1065 fits the bill. The scanner has a surprising number of bells and whistles considering it’s reasonable price. Excellent backlighting. Earlier models were not very bright, even on the “Bright” setting. This model is pretty bright even on the “Dim” setting, so this represents a big leap forward. Software is available. You certainly can try to program this radio by hand directly through the unit, but you will find that advanced programming requires computer software. Thankfully, it is available (though you do need to pay for a subscription). Alerts and alarms. Both audio alarms and multi-color LED lights are available to provide you with auditory and visual alerts. Both are programmable. Automatic Adaptive Digital Tracking. This fantastic feature adapts instantly and automatically to the format of P25 digital systems while you are scanning. It also adjusts to compensate for fading and multipath on the fly. Many other outstanding features. Some of these include digital AGC, data cloning, free-form memory organization, a flexible antenna with a BNC connector, a key lock, a lock-out function, multi-system trunking, P25 NAC functionality, SAME alerts for hazardous weather conditions, Skywarn Storm Spotter functionality, 3 levels of power, V-scanner technology, and more. Programming the scanner is not all that easy. If you are a beginner, be aware that the learning curve may be a bit steeper than you would like. Nonetheless, once you figure out the basics, you should find it becomes progressively easier. Will save and take to store with me. You are most welcome. Good luck shopping for the best police scanner for your needs! Did I screw up buying the WS 1040 because I’m not really that computer knowledgeable ? Not necessarily. Your mileage may vary, but quite a few customers comment that the scanner is not all that difficult to program if you follow the right steps. 1. Start by getting a Radio Reference account so you have all the US frequencies. 2. Grab the trial version of Butel ARC500, which gives you 30 days to program your scanner (you can buy it if you prefer). 3. Pick up rechargeable batteries. 4. Head to YouTube to look up a few programming videos for ARC500. Alpha6Kshooter recommends ScannerMaster Radio Shack Scanner Programming Videos 1, 2, and 3. I hope that helps! Good luck programming your scanner. There is a learning curve, but once you get it figured out, the extra features should be more than worth it. If you still need extra help, try contacting your local HAM radio club. Some local enthusiasts may be able to answer your questions and walk you through the process.